The blood detox is often combined with the Liver Detox but can be done by itself for convenience or special circumstances. Cleansing the blood is probably one of the most important weapons in the alternative health arsenal for achieving optimum wellness. What we're talking about now is using herbal blood cleansers to eliminate systemic pathogens, remove toxic residues from the blood, stimulate the lymph system (which is essential for keeping your blood clean), and breaking down rogue cells to assist your immune system in minimizing the chances of malignant growths taking root in your body. The great blood cleansing herbs--in no particular order--are: red clover, burdock root, chaparral, poke root, and sheep sorrel. These are the herbs you will find in the famous blood cleansing formulas such as the Hoxsey formula, Essiac Tea, the Dr. Christopher and Dr. Schulze formulas, and in Jon Barron's own version of the formula. These formulas can literally "drive" bad things out of your body -- or prevent them from entering in the first place. A big surprise for most people is that your blood is actually an organ, like your liver and kidneys. In other words, it is a "group of tissues of different kinds" that functions as one system and that performs a "specific" function or group of functions--and why keeping this organ functioning properly is so important. Transportation--it actually transports four distinct categories of things: (1) gases, including oxygen and carbon dioxide, (2) nutrients from proteins to vitamins, (3) cellular waste, and (4) hormones and chemical messengers. As for detoxing, it's not just gases such as carbon dioxide that blood helps remove from the body. As noted in category 3, blood is filled with a great deal of "waste" that has been removed from cells, which then needs to be cleansed from the blood itself. Also, waste produced by the immune system's battle with invading bacteria and viruses needs to be removed, as do Circulating Immune Complexes, and used up cells (such as old blood cells), etc. All of this waste is transported about by the lymph and blood on its way out of the body. Protection--blood contains its own mechanisms to control bleeding, help fight infection and repel invaders, control allergies, and works with the immune system to identify and eliminate cancerous cells. Key detoxing herbs can help the blood fight invaders so that your blood can focus on its other functions. Balance—what doctors call homeostasis. Your body depends on a very careful balance of a number of systems, and those systems operate within very narrow parameters. Fall outside those parameters by even a little and very serious illness or death can result. Some key systems that your blood keeps in balance include temperature, pH, and hydration. When the body is toxic, it is harder to balance homeostasis. When we look at the importance of blood, we can see why we would want to detox this vital organ for optimum health. 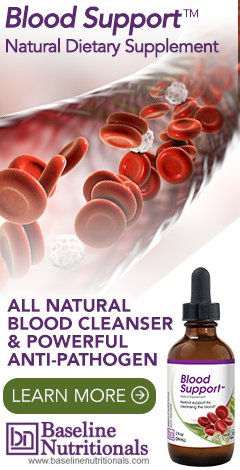 Learn more about the importance of the blood cleanse on the next page: why cleanse your blood?